In 1883, in Albury, New South Wales, two train lines met! Separated by a long island platform, the Victorian Railways broad gauge line, and the New South Wales Government Railways standard gauge line were formally opened on June 14, 1883. Find out more about this historic occasion in this FREE floor talk. Part of the 'Events in Colonial Victoria' Public Program series. 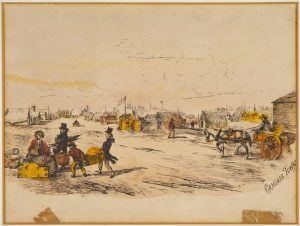 Samuel Thomas Gill was well-known as 'the artist of the goldfields', his many sketches and watercolours depicting the daily life of diggers in search of that elusive metal - gold. Dr Dianne Reilly AM FRHSV, former La Trobe Librarian of the State Library of Victoria and co-founder of the C J La Trobe Society, draws on the resources of State Library Victoria to illuminate his intriguing life and great talent. Presented as part of Rare Book Week. 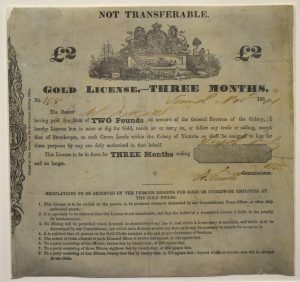 The Gold License is one of the most controversial taxes imposed during the Victorian gold rush. Find out the history of the license in this free floor talk. Revisit a time when board games were the height of fashion! This Race to the Diggings game on loan from the National Library of Australia, represents an important part of Victoria's gold rush days. It was made in London in 1855, and is the earliest-known board game that has Australia as its theme. Discover more about this fascinating object in this free floor talk. 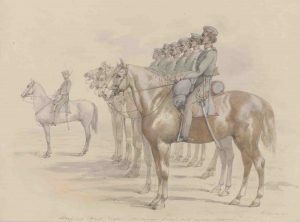 Come to a discussion of the role of Aboriginal troopers during the Victorian gold rush. 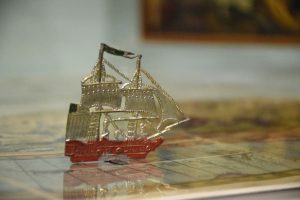 Part of the 'Gold Rush: 20 Objects, 20 Stories' Public Program. Due to popular demand this is a repeat of the lecture held 15 November 2018. Come to a special presentation in anticipation of International Women's Day and discover the life of Eliza Nelson, gold rush immigrant, pioneer, midwife and entrepreneur! Learn of the hardships she endured on the gold fields, and the attempts of her and Dr John Singleton to alleviate poverty in 19th-century Melbourne. The events of Eureka are part of Victorian identity! Discover the story and history of this poster in this FREE floor talk.